There are lots of speculations as to what will be Bala’s next venture after Naan Kadavul. Speculations are also rife with news about his next. Earlier there were reports that the director has announced his new assignment with Jiiva and Jithan Ramesh in the lead. Later it was alleged that Vishal may be cast. But the latest rumor is that Suriya and Karthi have been roped in for the venture. There is no official confirmation either from the director’s side or the actors’ side. 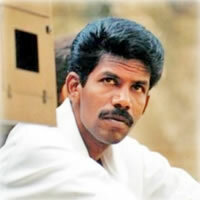 Knowing the working style of Bala, it would be a long term commitment for the actors who feature in his films. With both Suriya and Karthi busy with their committed projects one has to wait and see what transpires.